Looking for a cheap flight from Kuala Lumpur to Mumbai (XKLA-BOM)? Before you book a flight you can use Utiket to find the cheapest flights from Kuala Lumpur to Mumbai for MasWings, Malindo Air, AirAsia, Jet Airways, Air India, FireFly. All flight data are real-time and accurate. Utiket finds all the cheapest flights from Kuala Lumpur to Mumbai. On average the flight time between Kuala Lumpur and Mumbai is about 2 hr 25 min. Be aware there is a time difference of 2 hours: The time in Mumbai is 2 hour earlier than the time in Kuala Lumpur. The timezone for Kuala Lumpur is: UTC +08:00. The local time now: 08:42:40. For Mumbai the timezone is: UTC +05:30 and the local time now: 06:12:40. There are 2 airlines flying from Kuala Lumpur to Mumbai. Weekly there are 3 flights between Kuala Lumpur to Mumbai. The earliest flight from Kuala Lumpur to Mumbai is at 19:25. The latest flight is at 19:55. 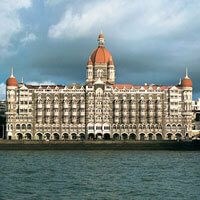 Find cheap flights to Mumbai or read more about Chhatrapati Shivaji International Airport. 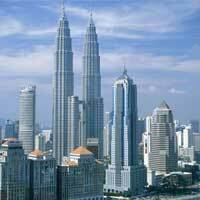 Which airlines have direct flights between Kuala Lumpur - Mumbai?